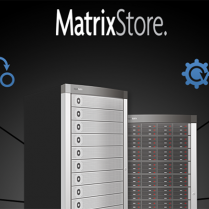 Register now to access FREE Exclusive Content. You pick the topics, we'll update you when something new is published! Lexar has announced the SL100 Pro Portable SSD lineup, a trio of compact solid state drives that offer USB 3.1 speeds in a tiny, durable form factor. 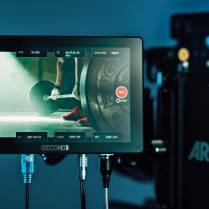 SmallHD has introduced Cine 7, a family of seven-inch full HD touchscreen on-camera monitors with cinema camera control and built-in Teradek wireless video technology. 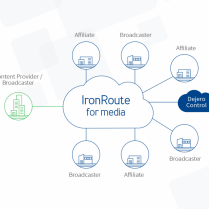 IronRoute is a cloud-based content distribution solution blending broadband, cellular (3G/4G/5G), and satellite connectivity from Intelsat’s global network. 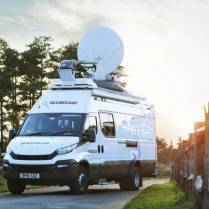 Dejero says its Smart Blending Technology combines all available network connections to create a virtual ‘network of networks’ with the necessary bandwidth to deliver broadcast-quality content. 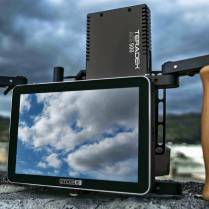 Teradek has introduced the Ace 500, an affordable zero-delay wireless video system for budget-conscious videographers. 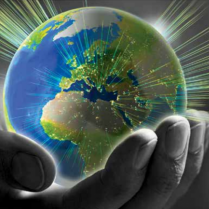 Move over, Information Age: it’s time for the Knowledge Age. 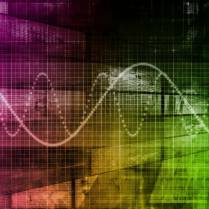 We just returned from the National Association of Broadcasters (NAB) 2019 convention in Las Vegas, and while the show featured some very impressive technology, the most sought-after attractions featured a healthy dose of thought leadership. 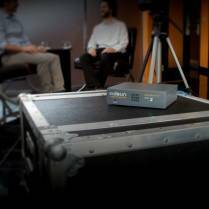 From July, Spectra Logic offers Spectra Swarm, which adds Ethernet connectivity to Spectra LTO tape libraries. 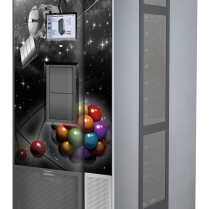 Spectra Swarm adds a modern interface to LTO tape libraries and is tested and qualified to work with Spectra LTO tape libraries Spectra Stack through Spectra T950. 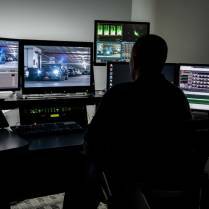 Medialoopster software optimizes the cross-location production of social media videos at Germany’s foreign broadcaster in 30 languages, with employees from 60 nations. 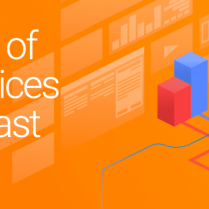 NimbraEdge targets primary distribution, sports and news interconnect through a cloud-native architecture enabling service providers and media companies to deploy and operate a cloud ingest, transport, and distribution. 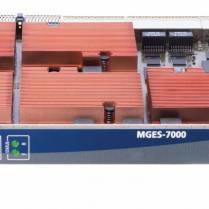 The MGES-7000 4K/UHD/HD HEVC and H.264 eight-input IPTV encoding blade is said to set a new benchmark in processing density. 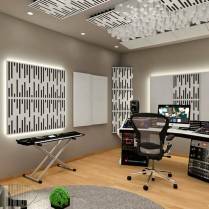 As a long-time customer and supporter of Calrec Audio technology, TVB, the largest broadcaster in Hong Kong, has placed an order for a Brio12 audio mixing console. 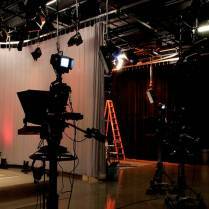 This marks the tenth Calrec console that the broadcaster has purchased to date, joining a collection of two Artemis Beams consoles and one Artemis Light model that were purchased last year as part of TVB’s ongoing audio technology upgrade. 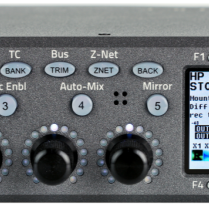 Zaxcom has announced Nova, a portable sound device that combines a mixer, recorder, ZaxNet remote control and wireless receivers into one compact system. 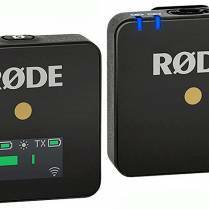 It’s the year of small-sized gear and RØDE may have set some records with its new ultra compact Wireless Go, a 2.4GHz system with a transmitter and receiver weighing only one ounce each. 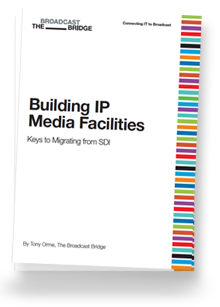 At the 2019 NAB Show, a consortium of world leading satellite operators, device manufacturers, broadcasters and service providers called The SAT>IP Alliance updated attendees on the capabilities of the SAT>IP protocol in many of its members’ exhibit booths at the NAB convention. 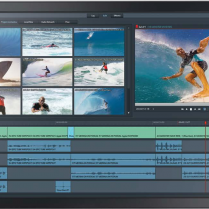 Videon showcased its latest products for live streaming at NAB 2019, covering both traditional broadcast and live events. 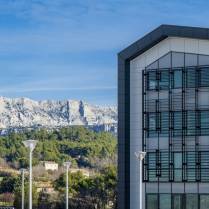 Insight TV has signed an agreement with the National Cable Television Cooperative (NCTC) to provide NCTC members with its UHD (Ultra HD) content network across the US. 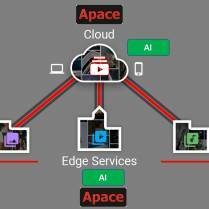 Apace Systems has a new SaaS based media cloud service for media production, management, collaboration and mobile interactive access.